On the hills of Montefalco, in the heart of Umbria, in an extraordinary area surrounded by vineyards and olive groves, our family has cared for and preserved what nature has generously given us for three generations. We put our hearts into our work, so the wine and olive oils we produce reflect the excellent quality and uniqueness of the soil, the plants and the microclimates that interact in our ecosystem. And because we respect all this, we practice farming that is attentive to the requirements of the land and that maintains the delicate balance that characterizes our environment. Our olive oils are born of organic farming, cold-pressed, unusually balanced and rich in antioxidants. We also produce wines from our grapes; complex and structured, they express our history, our land and our work. This approach gave birth to two projects on the estate: Romanelli Nature and Romanelli Tourism, both testimony to the farming philosophy the family follows. Romanelli Nature is an eco-sustainability project; it was developed to help support biodiversity and to care for the environment through installations of bird boxes throughout the vineyards. 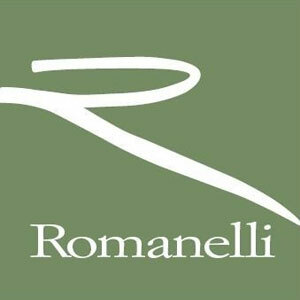 Romanelli Tourism is a ‘wine-tourism’ program linked to the farm’s production, and related to the idea of eco-tourism.